Freshman Unis Bakarat shared his struggle with mental health issues that universities are attempting to alleviate among students. The doctors said he should have died. Barakat had spent his childhood on the Gaza Strip in Palestine, fearing for his life as helicopters fired missiles and cars exploded around him. Before he moved to the United States, family members physically abused him, holding his mother back as they threw him down the stairs. In the spring of 2011, Barakat attempted his first suicide. 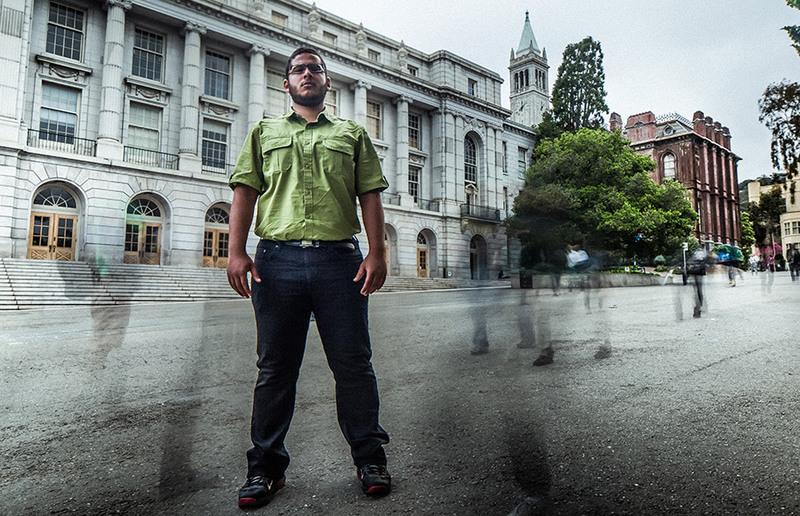 Though Barakat’s story is exceptional, the depression he experienced is not uncommon and is in fact widespread among college-aged individuals. The Center for Disease Control and Prevention reports that the average suicide rate for college campuses is about eight deaths per 100,000 college students. Two UC Berkeley students committed suicide this past year, placing the campus just under the national average — though not all suicides on campus are reported. In light of this reality, UC Berkeley began receiving $600,000 in the fall of 2011 as part of a nearly $8 million California Mental Health Services Authority grant that aims to improve mental health programs within the system over a span of three years. The campus began implementing programs this year to increase awareness, reduce stigma and educate the campus community about suicide prevention. UC Berkeley junior Silvia Lopez, grappling with a daunting workload and the death of a family member, decided she needed a therapist. But she thought the Tang Center was “just a hospital” and didn’t know where to go to have her needs addressed. After a professor referred her to the center, she arrived as a walk-in, signed a small stack of papers and met with a counselor who evaluated her and signed her up for a series of treatments. “I wish I knew how easy it was,” Lopez said. 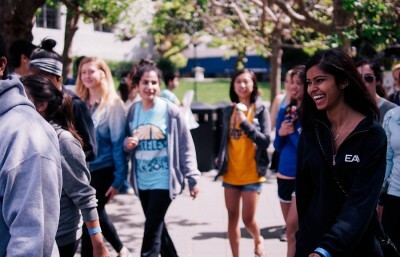 According to Cohen, the Cal MHSA Student Mental Health Initiative coordinator at the Tang Center, approximately 5,700 students used the Tang Center’s Counseling and Psychological Services last year. He said that considering the campus serves approximately 36,000 students, many may not be utilizing the center’s resources because they are unaware of what it offers. “It’s really important for us to get the word out there about our services and let people know about confidentiality, let people know we’re not about labeling, let people know we’re trying to figure out a way to support students through what they want,” Cohen said. Stephanie Ho, a Tang Center psychologist and former Cal MHSA grant coordinator, said first-generation, first-year students and those who are away from their family for the first time experience stressors that make them more susceptible to depression but are least likely to be able to navigate the resources on campus. In targeting first-year students, this academic year the campus implemented the Interactive Screening Program, an anonymous online questionnaire that surveys students’ stress levels and substance abuse issues. Cohen provides students with feedback tailored to their responses and invites them to schedule a counseling appointment. The Cal MHSA grant funded other programs designed to raise awareness like the Gold Folder, a reference guide for faculty and staff with indicators of distress in students, campus resources and protocol during an emergency. Additionally, the campus will launch a large-scale media campaign on topics such as depression and suicide. Struggling to come to terms with the suicide of a close friend and shrouded by what he could only assume was depression, Blake Simons resolved that he needed help. After calling Counseling and Psychological Services in his freshman year, Blake said a staff worker emailed him a list of outside psychologists, ultimately steering him away because he had “too many problems” — more than could be remedied in the allotted five free counseling sessions provided for all students. McClain said many students struggle to access mental health resources and secure an appointment at Tang. She said students may wait indefinitely for a 15-minute conversation. According to Kim LaPean, communications manager at the Tang Center, campuswide budget cuts in 2008 affected the level of service that the Tang Center provided. After recovery from the budget cuts, staffing has grown, but Counseling and Psychological Services is still advocating for resources. “Even with all of the funding we currently receive, we struggle to meet the demand for our mental health services,” LaPean said in an email. Jeff Prince, director of Counseling and Psychological Services, said that although the university has supported the department, staffing is still not up to the level of need. The Tang Center currently employs 26 psychologists and social workers, 12 trainees and 12 psychiatrists, five of whom are full-time employees. A portion of the Cal MHSA grant is directed at hiring staff, including a full-time psychologist and a part-time postdoctoral fellow. Lopez said it was a crippling stigma against mental illness in her community that kept her from seeking help for her depression. “If I mentioned wanting to see a psychologist, my parents would say, ‘We won’t pay for that,’ and ‘What the hell for? You might as well tell me the problems,’” Lopez said. Many researchers say an inevitable obstacle in raising awareness and even approaching depression is the harmful stigma surrounding and defining mental health. This stigma, according to Wallin, stems from a continual cycle of self-deprecation when individuals internalize the negative perceptions held against them and sink further into depression. Steven Segal, a campus professor of social welfare, said people tend to distance themselves from those who have been hospitalized because they perceive them as a threat to their safety, which exacerbates the isolation and reinforces the depression. “It feeds on itself, in a way,” he said. “We need to accept that feeling depressed, anxious or suicidal — these are natural parts of the human condition and part of what it means to be alive,” Wallin said. Susan Bell, manager of outreach and consultation for Counseling and Psychological Services, said Cal MHSA programs, such as the peer-to-peer trainings, will educate students on the signs of depression and allow them to share this information with their peers. The Cal MHSA grant programs will continue until spring 2014, when most of the programs will be implemented. As for Barakat, it has been more than a year since his last suicide attempt, and he is still recovering. He said that his psychiatrist has reduced his medication and hopes he will be off of it in a year. Contact Virgie Hoban and Gladys Rosario at [email protected].